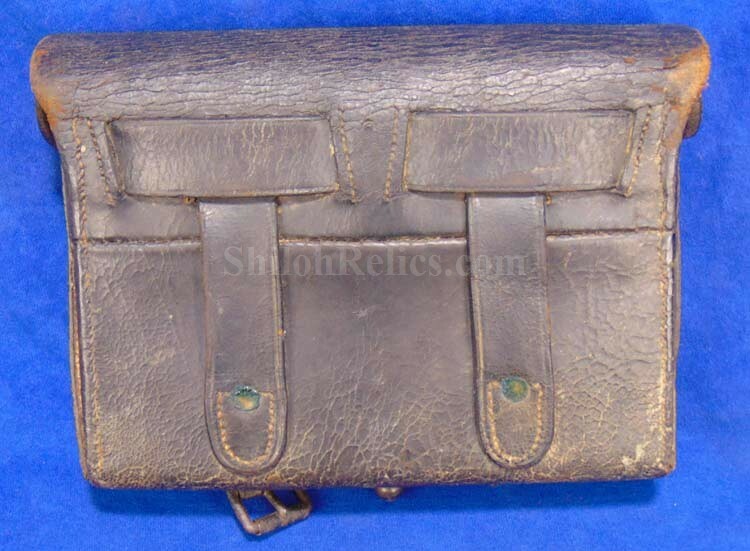 This is a nice authentic Civil War leather cartridge box for the .69 caliber Springfield pattern rifle or a rifle by any of the other contract makers of .69 caliber military rifles. 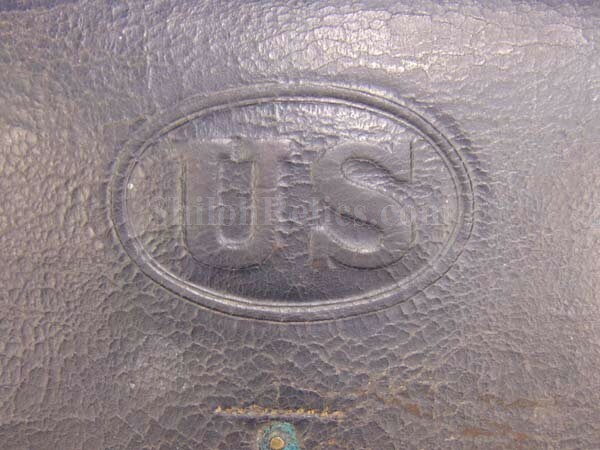 This is the model 1864 pattern that has the embossed U.S. proudly displayed on the outer flap. 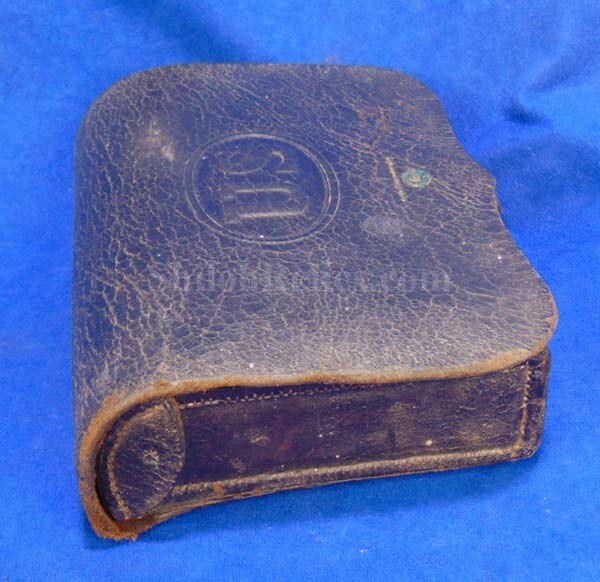 What is cool about this pattern of cartridge box is that in 1864 when these boxes were introduced the .69 caliber guns were out of date because of the lighter and more effective .58 caliber rifles. The .69 caliber guns were often sent to the lower status western troops and states including many of the black regiments. It still has a portion of the closure tab and brass finial at the bottom. 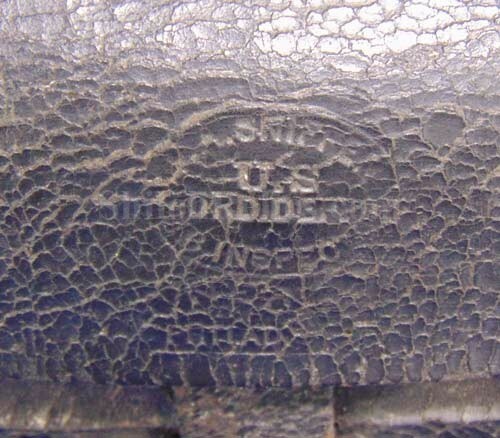 One of the original two roller buckles is present on the bottom of the box. 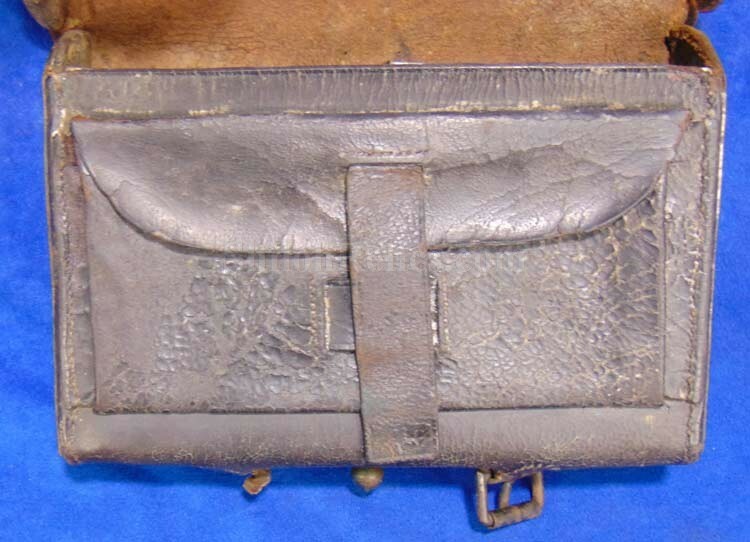 On the back of the box it has the belt and shoulder strap loops still intact. 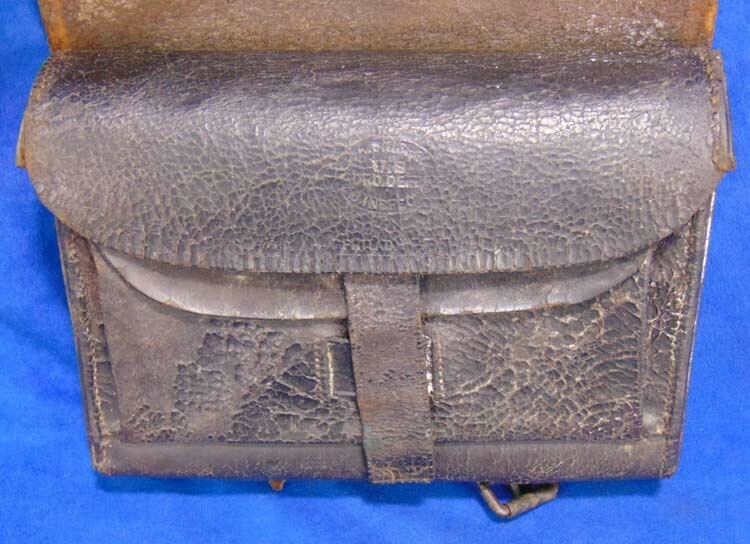 These were designed so the box could have been worn on the soldier’s belt or on the sling, whichever the soldier preferred. 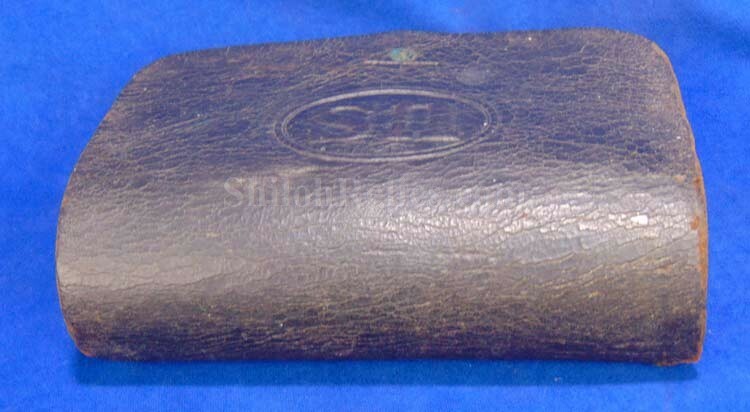 When you open up the outer flap you are greeted by the inner flap as well as the implement pocket with flap and closure strap. 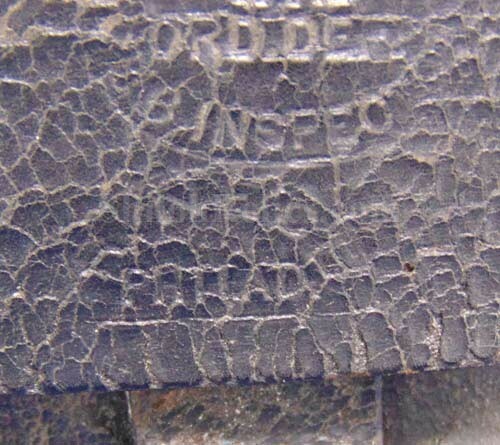 In the center of the inner flap it has the maker’s mark still partially visible of the Nece Company that was located in Philadelphia. 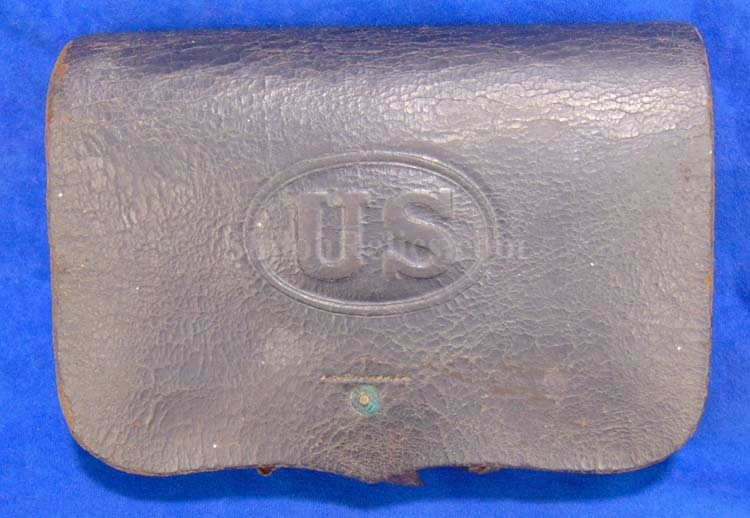 It also has the clear stamp that shows where the cartridge box was approved for military service by F.A. Sniffen who worked as a inspector for the government in the Ordnance Department. 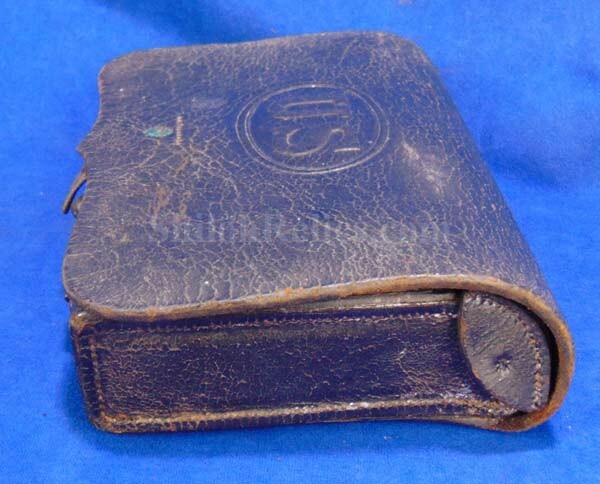 On the innermost compartment it has both of the original tins that held the cartridges in place. 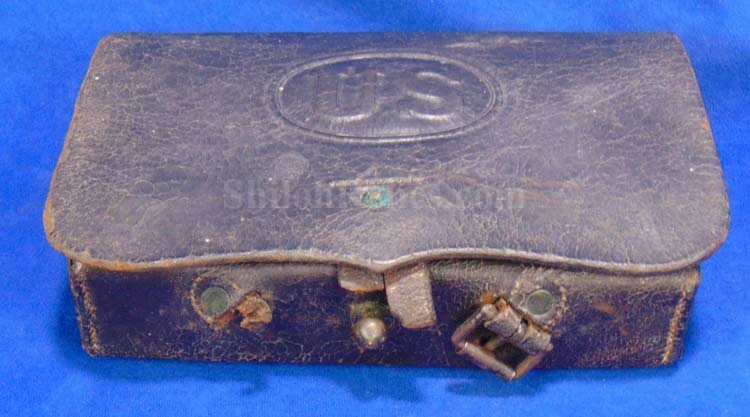 This is a nice looking original Civil War cartridge box for the .69 caliber Springfield or contract pattern rifles.